Happy Sunday! This week is filled with so much emotion, and honestly I am happy to have a little break mid-week to just collect my thoughts about many things. You can get more on that through my Instagram and Snapchat. But right now I want to talk about hair! Since I was little, I often heard “you have such beautiful hair” or “you have so much thick hair”. However, for me it always seemed more of a stress to style and it always took so long to get it done at the hair salon! Since I have long curly hair but like the ease of having it blown out (especially in the winter), it’s important for me to keep it as healthy as possible. Every winter my hair reacts to the change to cold weather from scalp to root and it can take a toll on its texture. 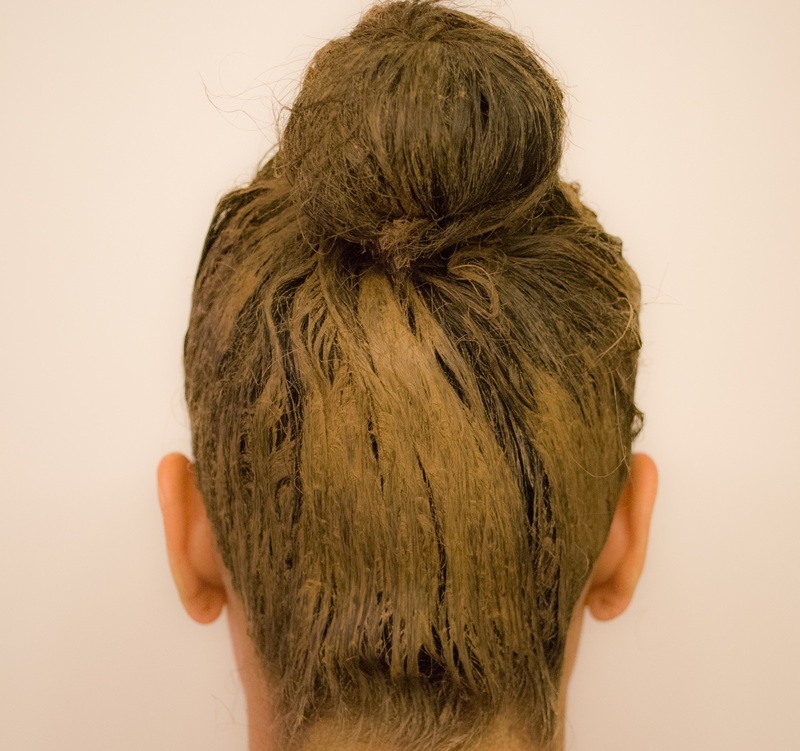 I almost never color my hair – highlights mainly – more than once a year, and yet it’s so important for me to do everything I can to care for my winter hair more than in the summer. Of course staying hydrated is paramount (and wearing a hat! ), but here are a few goodies that I’ve started to use that I really enjoy and have been keeping my hair full of life! 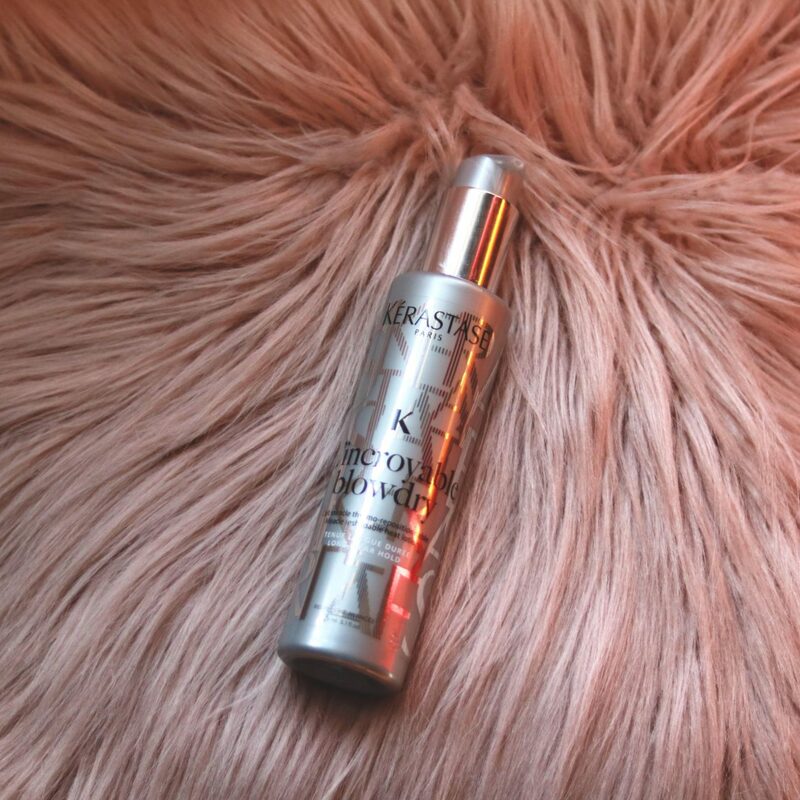 Before getting a blow out, using Kerastase’s L’incroyable Blowdry makes my hair significantly smoother and softer. I love the light scene it gives my hair and on occasion I even use a little bit a day or two after to refresh my hair. I’ve never been one to use dry shampoo until I came across this product. 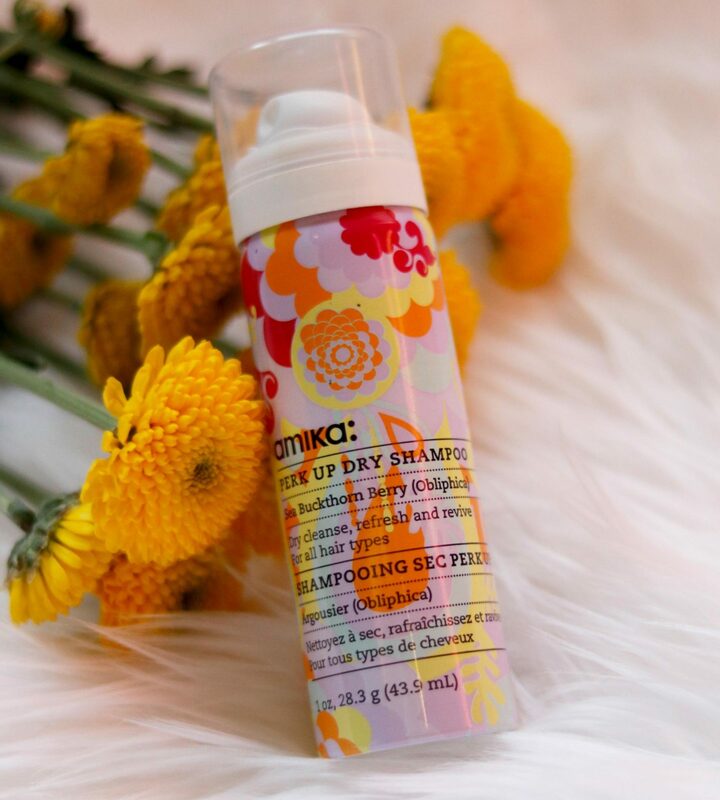 Amika’s Perk Up Dry Shampoo not only smells great, but it instantly bring my roots to life after second day hair. And while it’s important to brush out the product after applying to the roots only, I love that it doesn’t leave any powered residue on my hair. 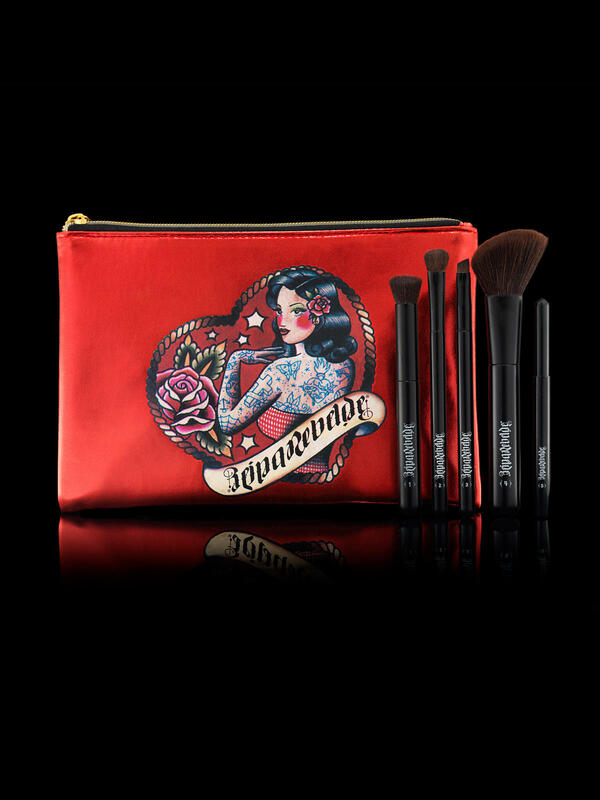 I also love their travel gift set with flatiron, products and decorative pouch – a perfect for a holiday gift for a friend! Now I have used several hair conditioning masks through the years, and some have been better than others. Briogeo’s is definitely one I like better! It has a great scent, it doesn’t get sticky when you apply it and dries, and most importantly, it leaves my hair silky smooth. I like to apply it on my hair after washing with shampoo, then wrapping my hair in plastic wrap with a towel on top. On occasion, I add heat for a few minutes with my blow-dryer for added moisturizing. Using this once a week is perfect for the winter and in the summer after a day at the pool. I might also start to try their curly hair products. 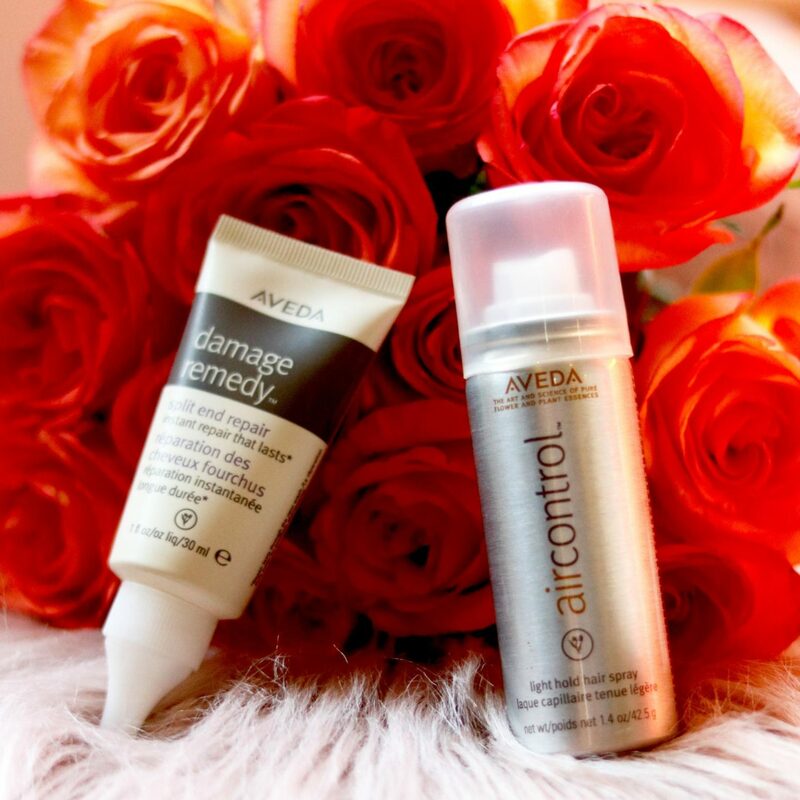 I have tried many of Aveda’s products and these are some standouts for sure! 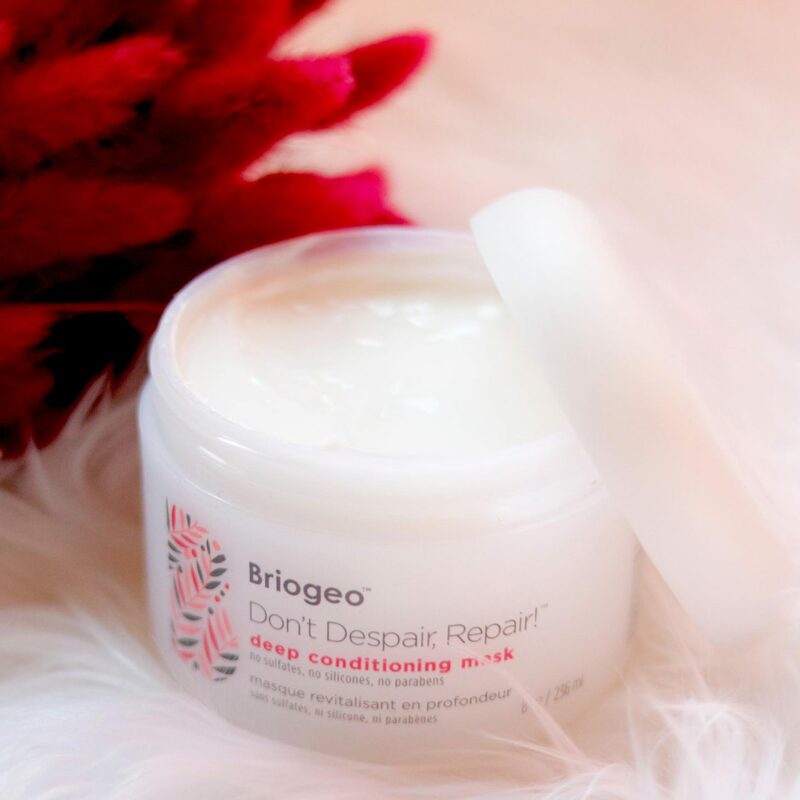 Because I blow-dry my hair quite a bit and the cold winter can be brutal to my ends, I’ve been using the Split End Repair before I retouch my hair with a flat iron or blowdryer. It softens the ends and also protects them from splitting. And one of my favorites is their Aircontrol light hair spray. I use it to add volume to my hair without feeling like I’ve added a ton of product. This allows me to have an extra day or two before I wash out my hair without product buildup! Thank you so much for stopping by! What are some of the products you use more in the winter to care for your hair? Leave me a comment below, and I’ll be happy to check them out too! It’s Sunday night and I’ve had a hell of a week! I haven’t slept much, and stress has gotten to me a bit more than usual. 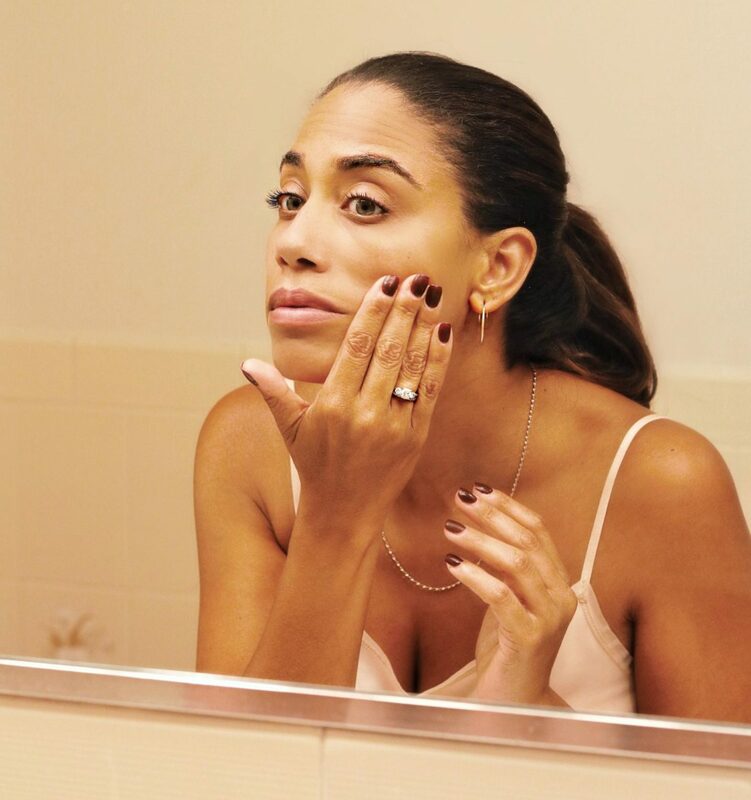 My skin is the one area that is the first to show signs of stress and sleepless nights, and if it weren’t for a few favorite finds for my face, I wouldn’t look as refreshed as I have been. Over the last few months, I’ve been trying several products for my combination skin. And if there is one thing I have learned about taking care of your skin well it is that just like the season’s change and your wardrobe reflects that change, so should your skin care routine. 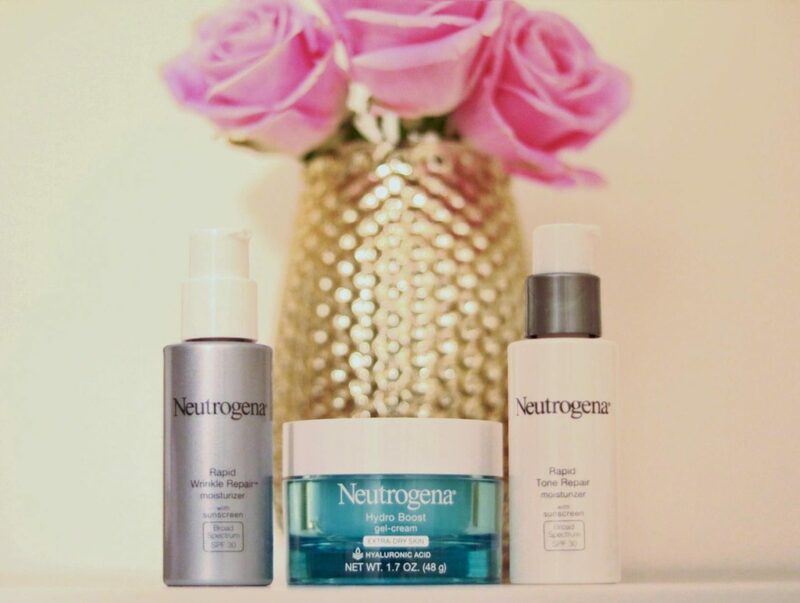 Aside from drinking plenty of water to stay hydrated and eating a well-balanced diet, having four or five favorite products for your face are the perfect way to stay above the fray of wrinkles, dark or patchy skin and the occasional breakout. As we start to experience cooler days this fall and head into winter (it’s coming! 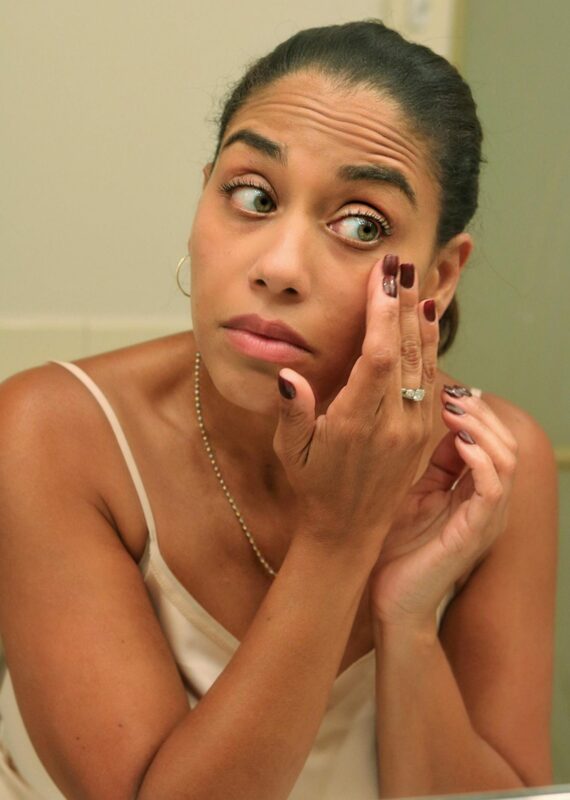 ), here are my favorite five finds for my face that I simply cannot do without! I had no idea about micellar water until I did a little more digging into skin care routines and found that this is probably one of the best ways to really get your face clean for both your day and nighttime cleansing. 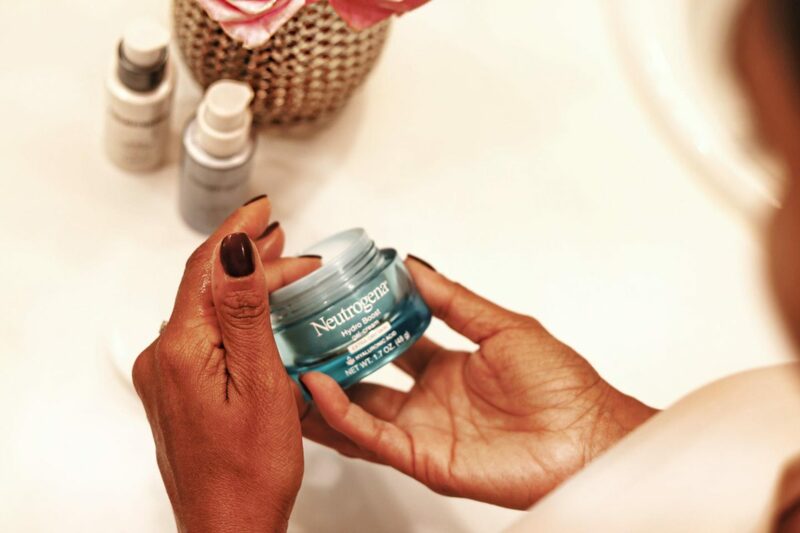 I use it right after washing my face with an oil-based cleanser or using a Neutrogena cleansing cloth. Using a cotton round, I wipe any excess make-up all over my face and eyes-which is great because it doesn’t irritate my contacts. You’d be surprised how much one cleansing really isn’t enough, which is why I love using this after I wash my face. 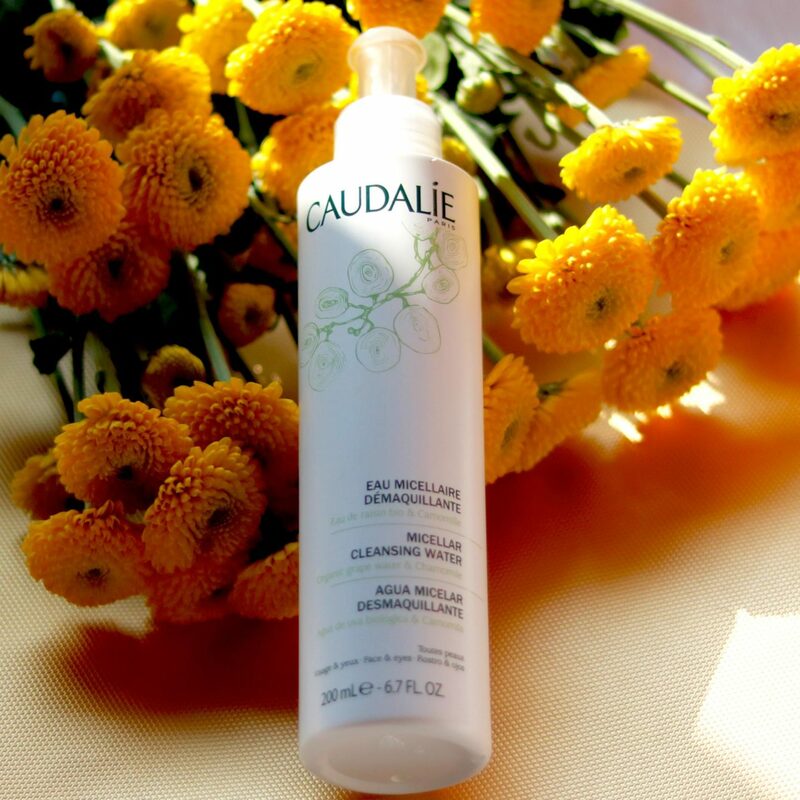 I happen to love the entire line of Caudalie, so this is a definite favorite find for me! 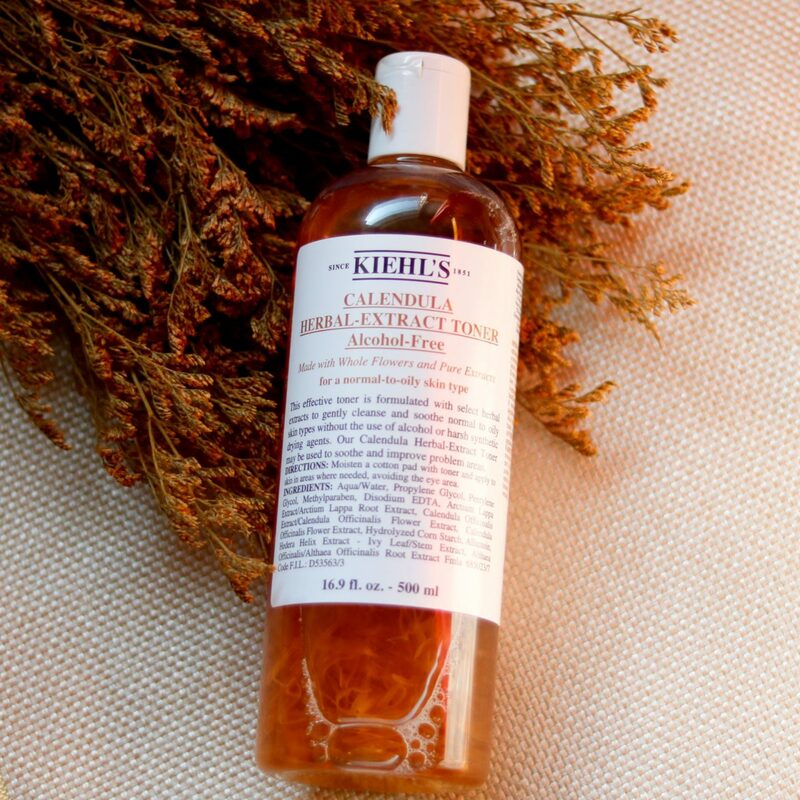 Kiehl’s has been a favorite brand of mine for as long as I can remember! 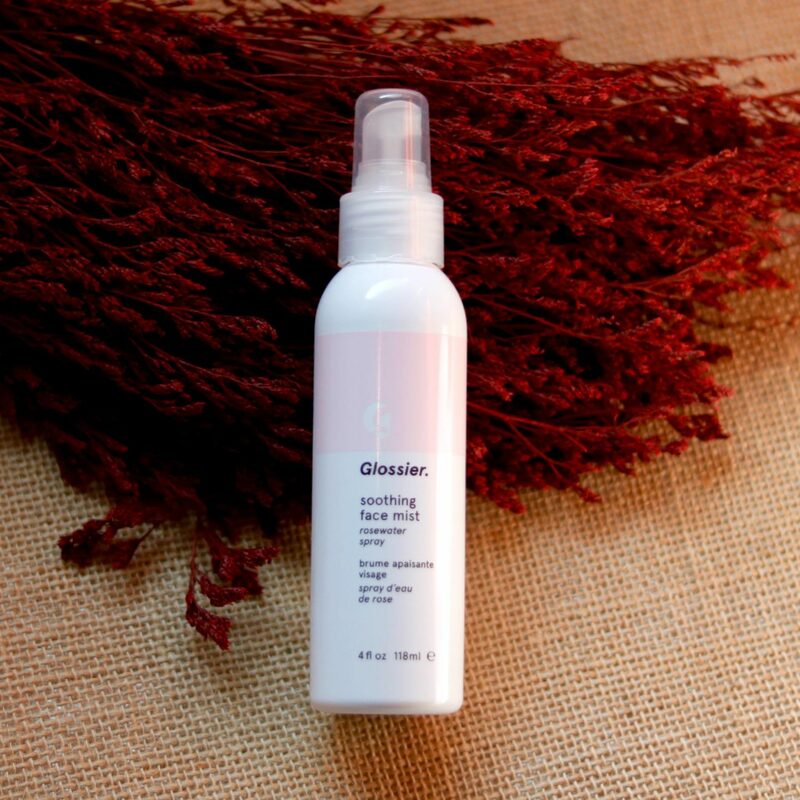 This alcohol-free toner has probably been my favorite for the last 15 years! Before I began to use this toner, I did some research on the calendula flower learning that it had healing properties which is exactly what I needed at a time when my skin’s texture began to change. It isn’t a product where you will experience immediate results overnight, but it will benefit you long term and I’ve never look back since using it. It is refreshing on the skin (sometimes I refrigerate it and use to it on an impending breakout), and does not leave you with any sticky residue after use. 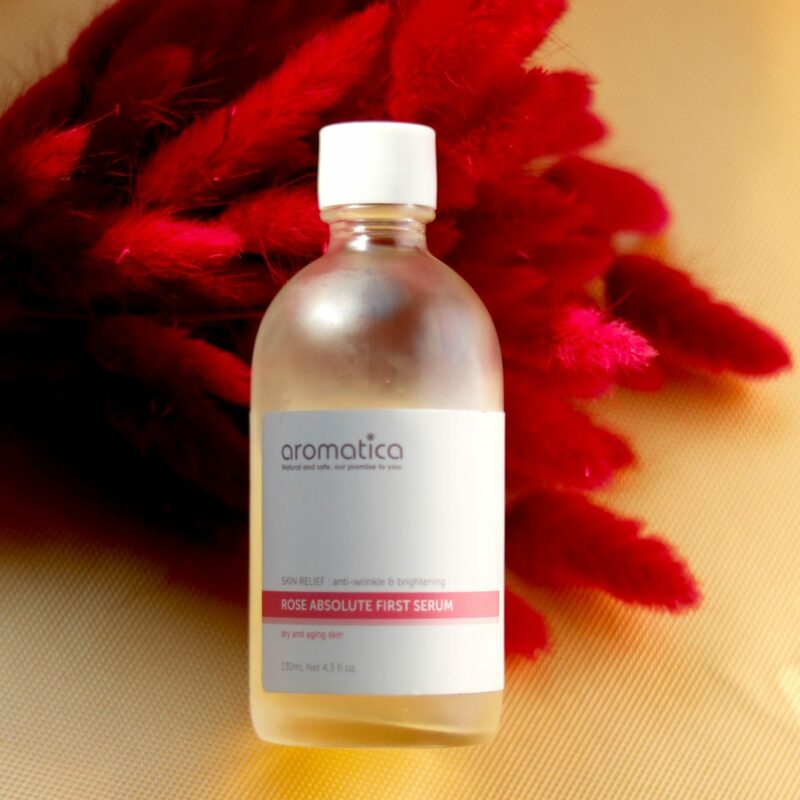 I have never used a serum before, then I discovered Aromatica and it changed my skin care life! This is one bottle I have almost emptied! I am already purchasing another soon! I use it nightly without fail and it has not only smoothed my finer lines and my skin overall, but also brightened those subtle dark spots that have begun to show up as the season changes. I put this serum on after I use the micellar water and toner as my third step to a fresh face at night. I use my hands and lightly pat it throughout my face avoiding my eye area. Rose is one of those products that you can find in many skincare lines, and it works well in this serum! A definite new found favorite this fall season! 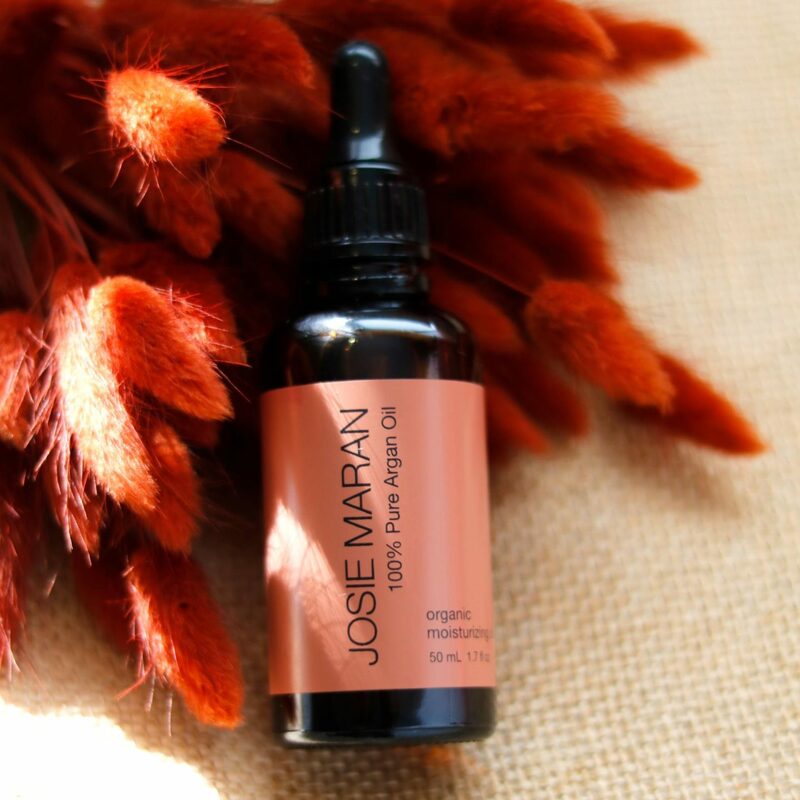 So I’m going to be totally honest here and say that when I first heard of Josie Maran cosmetics, all I could think about was David Blaine. Partly because I invited him to come and perform for my students once and he was brilliant, but also because he used to date Josie Maran (long ago!). Yet, that has nothing to do with the brilliance of this cosmetic line – luxury with a conscience! I am absolutely in love with the argan oil. I used to think an oil and your face did not mix. And boy, Was I wrong! My hairstylist convinced me to try it and after days of research I decided to give it a try. Now I cannot live without it. This bottle has lasted me 2 months and it is worth every penny. I pat 2-3 drops of the oil throughout my face after the Aromatica serum, and suddenly my face feels like it’s taken drink of water (ironic, I know!) after a day out in the sun. Glossier is one of those brands that seemed trendy, and so I thought it really wouldn’t live up to my expectations in skincare because it hasn’t been around long enough to prove it’s worth. Yet, I’m here to tell you that many of their products not only deliver their promise, but are affordable and luxurious at the same time! One of the many products I’m currently obsessed with is their soothing facial mist; and when they say soothing, they mean it. This is my third bottle in 3 months, and it’s because I take it with me everywhere. I use it in the morning to set my make-up, in the middle of the day to freshen my face, and in the evening after using the argan oil before heading to bed. It has a light rose scene, but nothing overbearing or drying in the least. And if you have seen other facial mists out there, this by far is an affordable bottle for the size you receive. 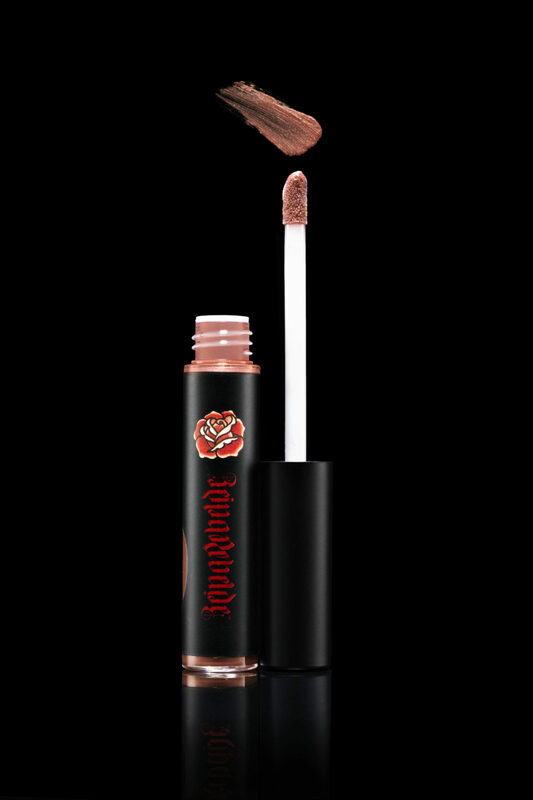 Definite favorite find for my face this fall! 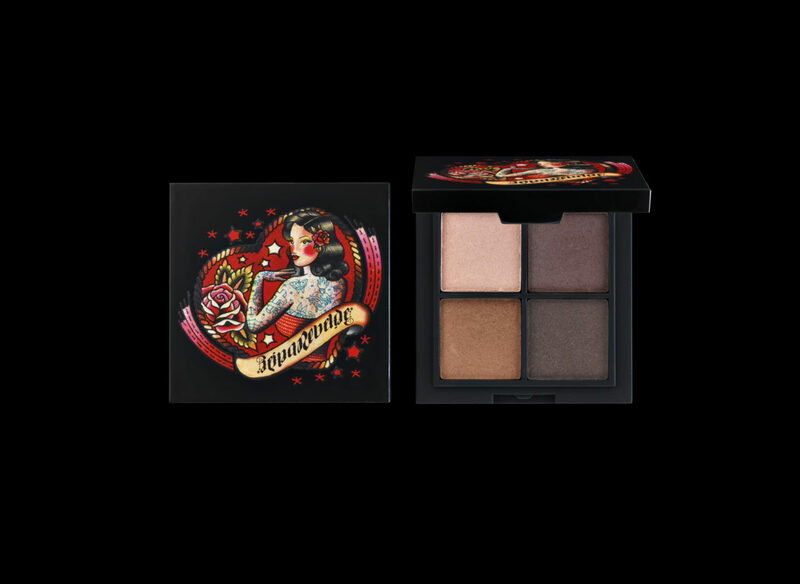 Some of these products can be found online, but if you are a Sephora VIB member (it took me two purchases to become one! ), your entire purchase is now 20% off until tomorrow, so be sure to prepare to stock up on your fresh face finds before the holidays and winter weather! If you get a chance to try or already have tried any of these products, I’d love to know! Leave a comment below sharing your experience. Love this post? Share it and let me know if you’d like to see more in skincare and beauty from me! Thank you for reading and stopping by! Happy Tuesday! Okay, so here’s the thing. 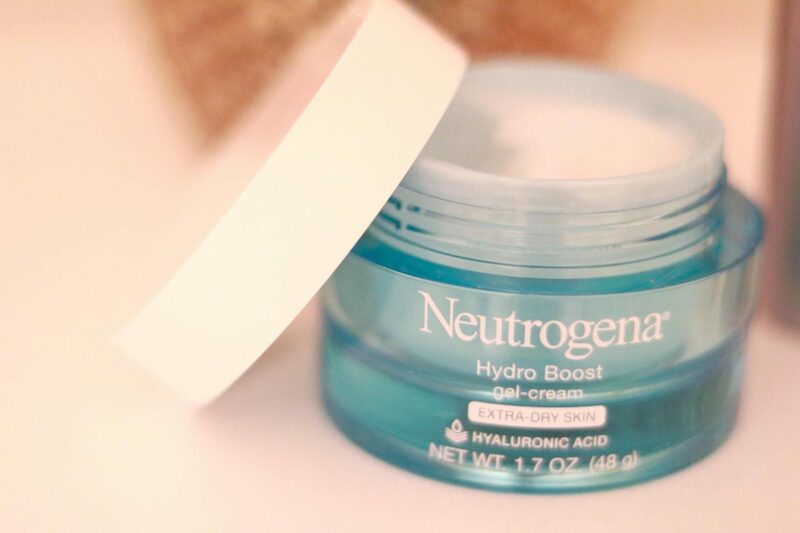 In one of my very first Sunday Favorites I shared a product that I absolutely love! 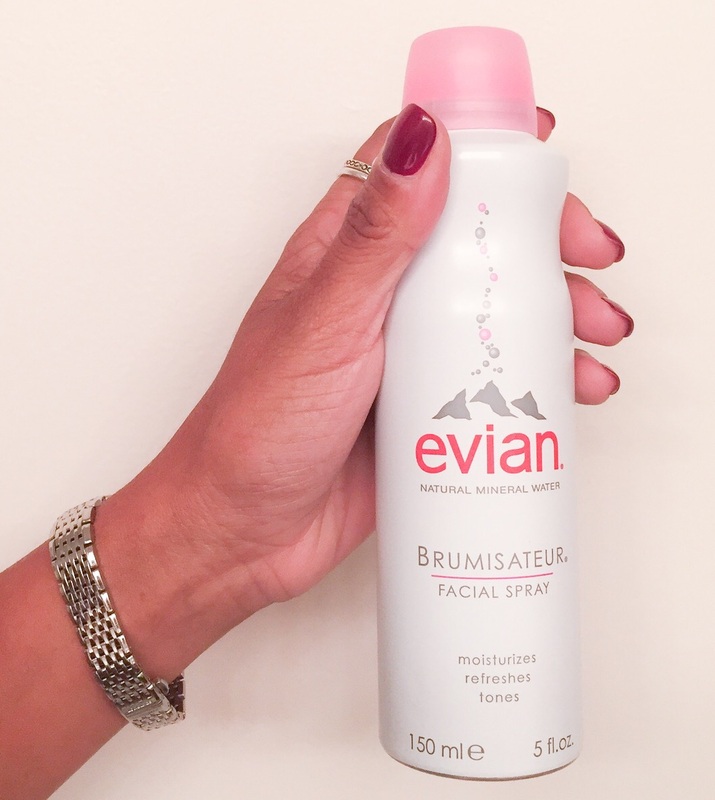 And it just so happened that when I saw the opportunity to share more about evian Facial Spray, I was more than happy to do so because I really do love using it. The origins of my obsession with facial spray began when I was traveling much more often (almost weekly!) than I do now. I received this great little compliemntary bag from the airline as I sat in first class from Brazil to New York. And let me just say what was supposed to be roughly a 9 hour direct flight turned into a 22 hour flight (emergency landing twice! ), and facial spray saved my dry face! More than ten years later, and I began to see evian facial spray at my local drugstore and I just had to have it. 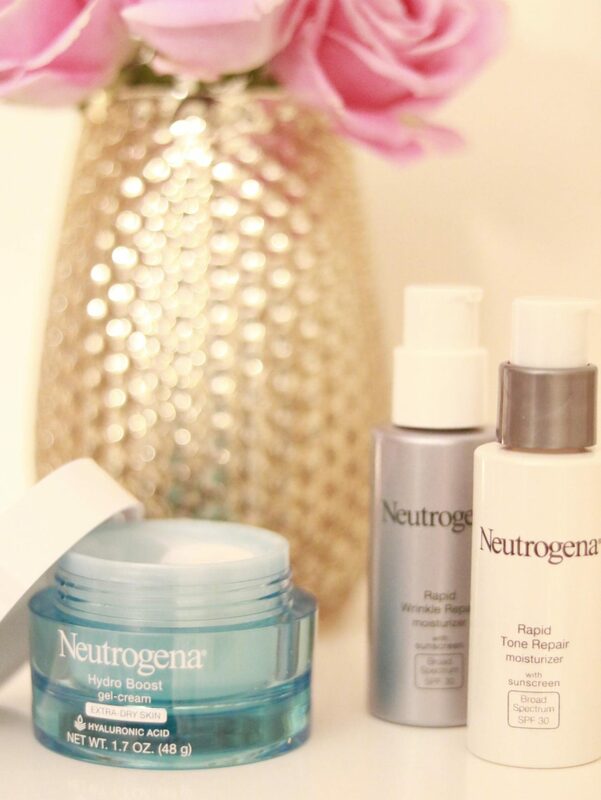 Whether I use the travel size (perfect for your gym bag!) 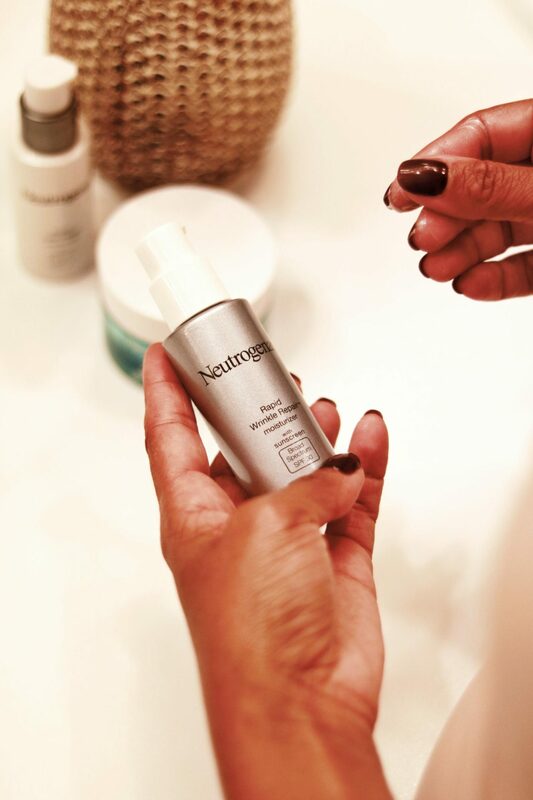 or larger, I use the facial spray for just about anything: Setting make-up, refresher after hot yoga, spraying it on after swimming in the pool or beach (you know when your skin is salty and dry?) or oddly using it to cool myself off this past summer when I found myself on a long line and had nothing but my spray (and lipgloss!) in my purse. Of course, having this stuff on hand when you are traveling really goes a long way. You know how your skin feels all tight or oily (or dry, in my case)? Well, I’m here to tell you that evian’s facial spray really does make you feel refreshed. My one complaint: I wish they had “scented” spray, like cucumber! I can easily see it now…facials and a selfie en route to Paris! Here’s to wishful thinking! You can find out more about the many uses for evian Facial Spray at www.evianspray.com and www.facebook.com/evianspray. This is a sponsored post. However, all opinions expressed are my own for a true account of my experience using the product. To create the mask using the powder, I simply added a few tablespoons of water to one tablespoon of powder which made a rather thick consistency. I wet my hair, applied the mask and waited about 5 minutes before jumping in the shower to rinse using my regular shampoo and conditioner. There wasn’t an immediate change to my scalp, but I will say that my hair did seem a bit shinier. I’m sure adding this to my Sunday night regimen over a week or two would really start to show a difference. Visit Zakia’s Morocco for more information and other great products! I particularly am interested in trying the 100% Pure Argan Oil. Thanks as always for reading! Have a great start to your week!